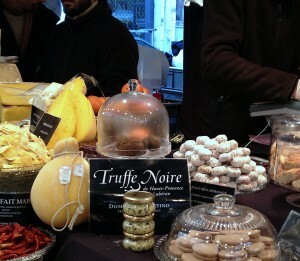 No matter the meal, the day, or the season, the French have a passion for the table and food that is almost a commonplace, but come the holidays, they become “foodies on steroids!” Abandoning budgets and diets, they indulge in an astounding array of seasonal options. Their markets are filled with displays of crustaceans—varieties of oysters, scallops still in their ribbed shells, mounds of shrimp from the petit gris from the North Atlantic to imperial-sized prawns caught off the coasts of Madagascar. Butchers showcase capons stuffed with chestnuts and carefully cut stately roasts, while patissiers outdo themselves with their glorious bûches de Noël and golden galettes des rois, sumptuously prepared with puff pastry. My husband and I have been coming to Paris during this season for more than a decade now, so I’ve become an enthusiastic and experienced shopper, filling my cart with favorites and new discoveries. 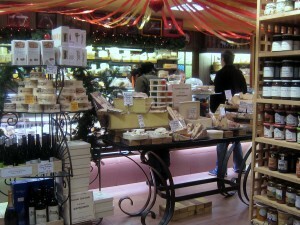 Nothing is better than a food foray during December and January in this magical city! 1. Chanterelles – Although also available other times of the year, I love to sauté these golden, trumpet-shaped mushrooms with garlic, then add them to a sauce to nap a holiday roast beef or fowl. 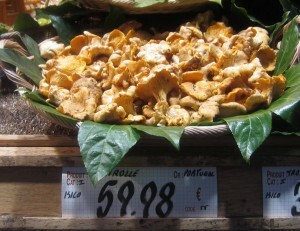 They also look glorious served in a small casserole with a sprinkle of parsley. 2. 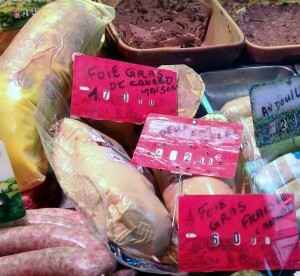 Foie Gras – At the farmers’ markets or in fancy food shops you’ll find fresh foie gras ready to be taken home to be served with warm brioche or baguette slices along with a sip of sauterne. Every mouthful is such bliss that I don’t even think about the calories! 3. Black Truffles – Fresh winter truffles are a luxe item to buy in miniscule amounts. You can add shavings to pasta or risotto, or even use them in scrambled eggs for an extra special brunch dish. 4. 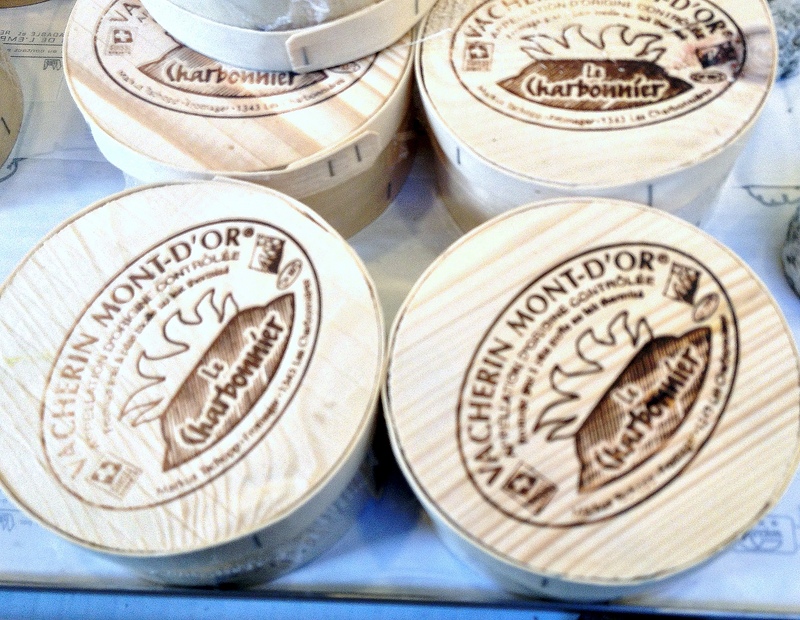 Mont d’Or Cheese – Also called Vacherin, this exceptionally creamy cow’s milk cheese, produced in the Jura region of eastern France, arrives at fromagers in time for the holidays. Packed in round wooden boxes, this remarkable cheese with its pale orange-hued rind can be served at room temperature or heated and offered warm like a fondue. My local Whole Foods in western Massachusetts had a few Mont d’Ors available this year! 5. 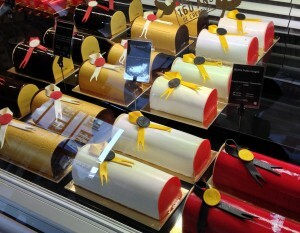 Yule Logs – There seem to be as many versions of the yule log as there are pastry makers in France. I was particularly struck this year by the exquisite bûches (seen here) that lined the pastry cases at the Bon Marché Grande Épicerie. 6. 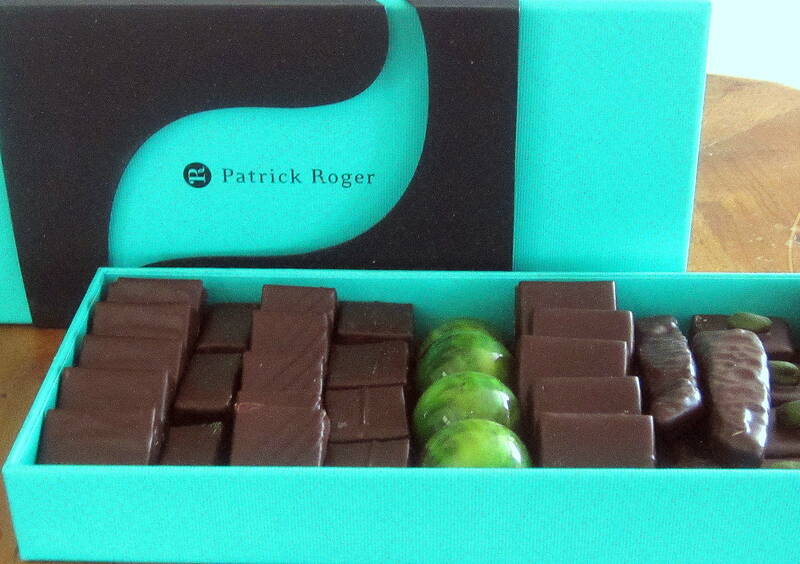 Chocolates from Patrick Roger – Chocolate shops dot the quarter where I stay in Paris, and one of my favorites is Patrick Roger. I love this assortment of dark chocolate candies scented with jasmine, lime, ginger, and other unexpected flavors. 7. Champagne – Where better to buy champagne than in Paris—only kilometers away from the source of champagne country. 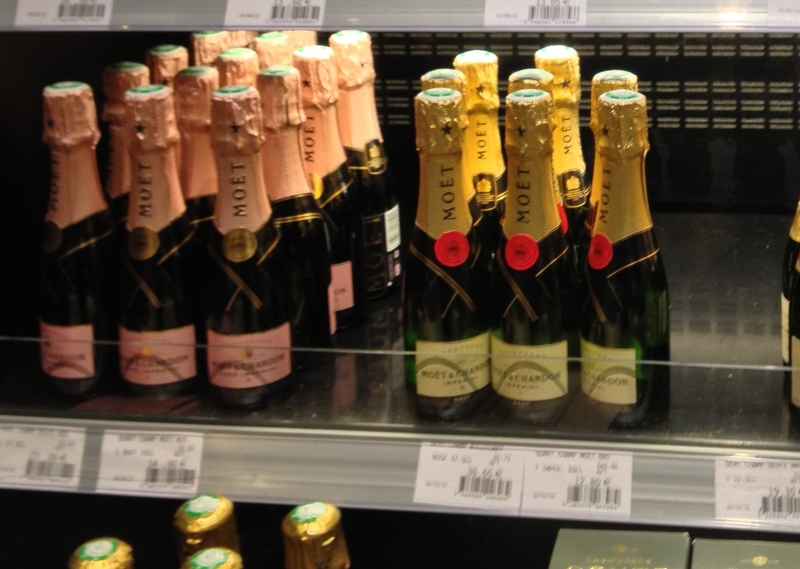 Given a choice, I’d probably choose Veuve Cliquot, but I’d be just as thrilled to raise a glass of Moët, Pol Roger (Winston Churchill’s fave), or Bollinger. A 2013 Bon Appétit to all of you! This entry was posted in Uncategorized and tagged champagne, chanterelles, foie gras, holidays, Mont d'Or, Paris, Patrick Roger, truffles by brosbottom. Bookmark the permalink. Love this post! 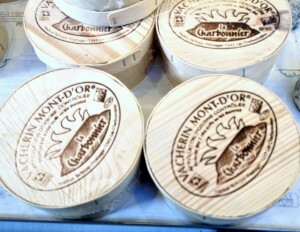 I’m going to look for the Mont d’Or today at my new Whole Foods in Wilmington! Oh, Betty . . . food . . . Paris! A layer of Christmas and you have heaven! 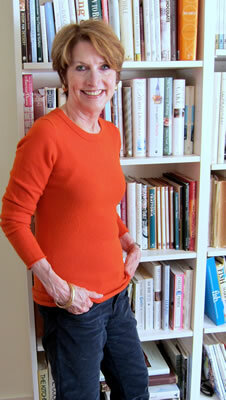 Thanks as always for the inspiration Betty.